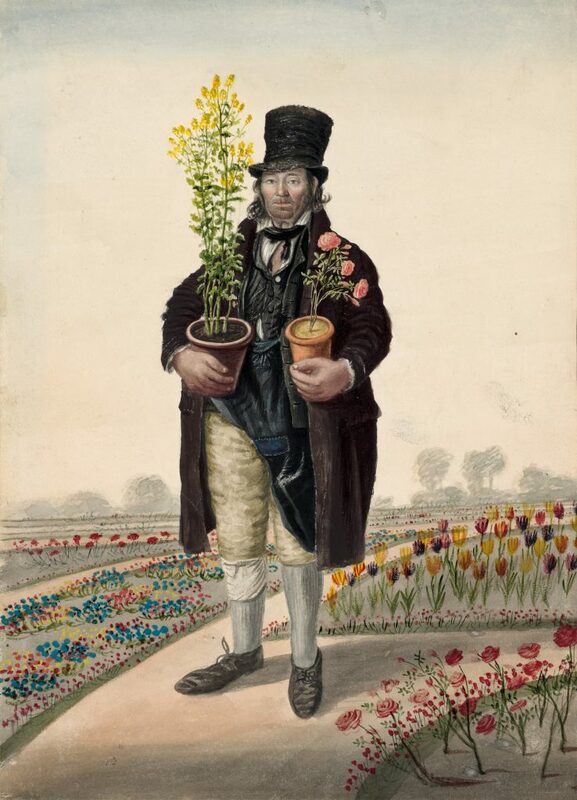 'Copeman, gardener' by John Dempsey, Great Yarmouth, 1824-44. Watercolour portraits by John Dempsey of English street people made throughout the first half of the nineteenth century. Curated by guest curator Dr David Hansen, Associate Professor with the Centre for Art History and Art Theory at the ANU.